Now where did I put my? Ah not again, where are my keys?! Let me introduce you to the tile. A product that reunites you with your lost items so very valuable for those forgetful souls. Just download the free app and link it to your devices. 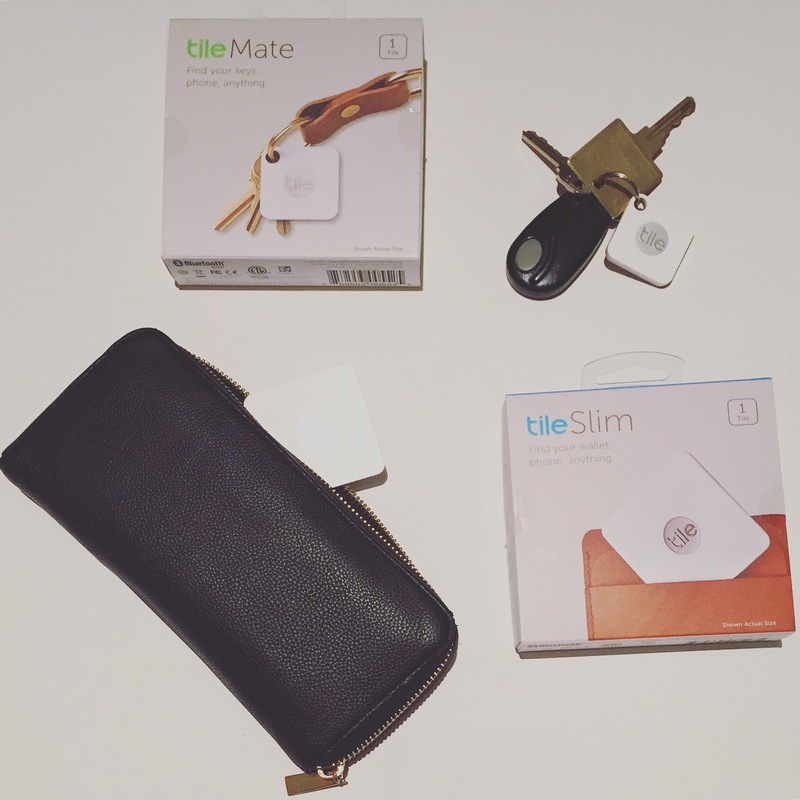 We have the tileSlim for items like your wallet or passport, or you can adhere it to your laptop, iPad or other items and we have the tileMate for items like your keys, camera or purse, just link it on! How it works? If you ever misplace one of these items you just open the app and click which one is missing and a Bluetooth tracking map will allow you to pinpoint where it is! Within 100 feet? You’ll start to hear a melody playing from the device to help you find it (you can even select your own tune!). Another awesome feature? Have your keys but can’t find your phone? Just hold the silver tile middle piece and it will sound an alarm on your phone, even when it’s on silent! Even if your far away it’s like you have a community of helpers, if someone else walks by and they are a Tile users, it will automatically update you of that location! Pretty convenient I’d say!